To fit the diverse needs of part-time students, the DePaul University part-time MBA at the Kellstadt Graduate School of Business offers evening and weekend options. Offered at all DePaul campuses, this program varies in length depending on student needs, but typically can be completed in two to three years. It is designed for working professionals with at least two years of working experience. The Kellstadt Evening MBA is a flexible MBA program that allows unprecedented customization options. Courses meet on weekday evenings and core courses are available online. Students may enter the program at the beginning of any of the four quarters of the academic year. The courses are sequenced so that all core courses are offered at least once during the year, ensuring that regardless of the specific program of study a student selects, he or she is able to complete all of the prerequisites for elective coursework within a year. Students with five or more years of work experience may choose the cohort format, during which studies take place with the same group of classmates in a set schedule of classes. The core course requirements for the Kellstadt Evening MBA are offered at the Loop campus. 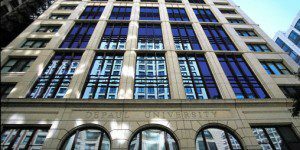 DePaul’s MBA curriculum is consistent regardless of the delivery format. This curriculum begins with a mandatory orientation prior to the autumn quarter. Students then take four courses per quarter during the autumn, winter, and spring quarters of their first year, completing their foundational core classes during these three periods. Over the summer, students generally have a full-time internship. They then go on to complete their degree by taking three courses in both the autumn and winter quarters of their second year, most of which will be elective courses to fill out specific Career Focused Concentrations. The total number of required courses is 11 core courses plus nine electives–although certain core courses may be waived based on prior academic work. Kellstadt’s MBA core curriculum is supplemented by a choice of 14 MBA concentrations. It may be necessary for students to travel to Loop campus to complete other concentration options outside of the normal Evening MBA program structure. The admissions committee meets three times per year (February, April, and July) to decide on applications. If applicants want to be considered for assistant positions or scholarships, it is best to get an application in by April. Applicants who apply to any program after these may have their applications considered if space remains. All applicants are encouraged to apply well in advance of these deadlines.